What is the interim manager’s role in HR policies? Interim Management is very regularly requested in the field of HR. Real pillars of the company, HR managers require many skills and human qualities in order to achieve, often, demanding interim projects. What is the role of interim managers involved in Human Resources? What type of communication is to be developed in changing companies? In which direction should the next generation of HR Managers go? 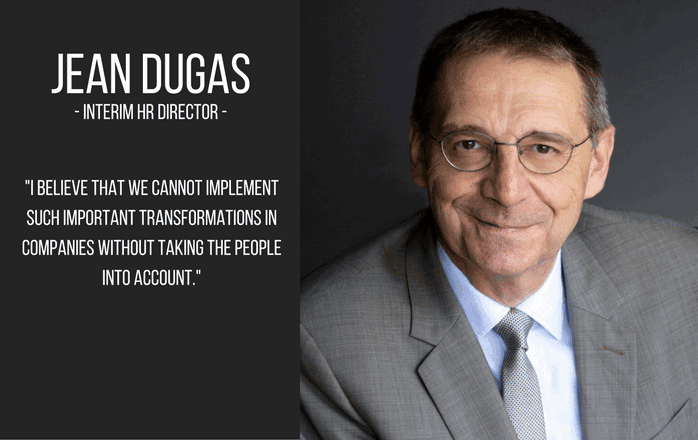 Find out about interim HR Manager Jean Dugas‘s human, creative and positive vision. RE : What is your point of view on what interim managers can provide in the field of HR? JD : “The interim manager’s first skill is to have the understanding of business issues. RE : Which methods do you think are necessary for interim HR assignments? RE : In which direction should the next generation of HR Managers go? At Reactive Executive, we have the best HR profiles in interim management that will perfectly match your current needs. Contact us! Roland Garros : The lesson for Interim Managers? How to enjoy a useful vacation when you are a manager? Here are 5 tips!